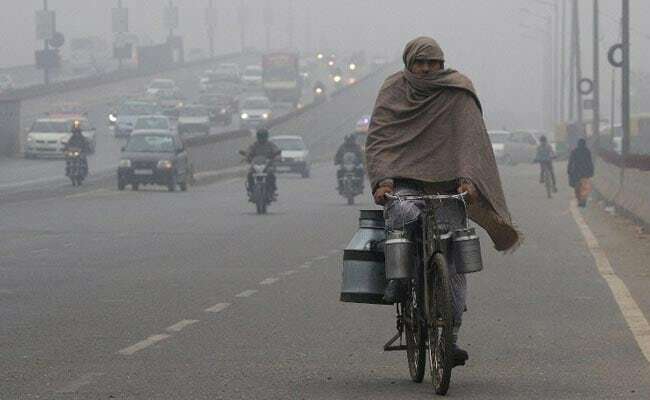 People residing in the national capital woke up to a foggy morning on Tuesday with the minimum and maximum temperatures touching seven Degrees Celsius, and 22 Degree Celsius — two notches below — the season’s average. Moreover, the temperature during the night is also likely to fall and in all likelihood, more chilly waves are expected to engulf the region within a span of four to five days. The wind is expected to blow at 18 kilometres per hour with humidity oscillating between 30 per cent to 40 per cent throughout the day. Along with winters, the people residing in the national capital have been battling the fight with increased air pollution levels. This has happened because of the strong northerly winds which are humid in nature. Experts believe that with the prevailing dust particles accompanied by humidity is resulting in spiraling pollution levels. According to the Centre-run System of Air Quality and Weather Forecasting And Research (SAFAR), the overall air quality of Delhi was recorded at 323 in the morning which fall in the ‘very poor’ category. At Dhirpur, the AQI was 335 at 8:30 am, while in Mathura Road area it dipped to ‘very poor’ category at 357. Furthermore, AQI near Pitampura, Airport, Terminal 3 and Delhi University stood at 343, 312 and 352 respectively. SAFAR in its advisory has stated that Delhiites must avoid prolonged or heavy exertion. “Go for a short walk instead of a jog and take more breaks. Stop any activity level if you experience any unusual coughing, chest discomfort, wheezing, breathing difficulty, or fatigue. If the room has windows, close them. If the air conditioner provides a fresh air intake option, keep that closed. Avoid burning of wood, candles or incense. Keep the room clean – don’t vacuum. Do wet mopping to reduce dust,” the advisory read. As per the UNICEF report titled Clean the air with children, the experts have found that increasing menace of air pollution causes miscarriages, early delivery and low birth weight. It also contributes to diseases that account for almost 1 in 10 of all deaths of children under the age of five. “Children breathe twice as quickly as adults and take in more air relative to their body weight. Their respiratory tracks are more permeable and thus more vulnerable. Their immune systems are weaker. Their brains are still developing,” the UNICEF report read.